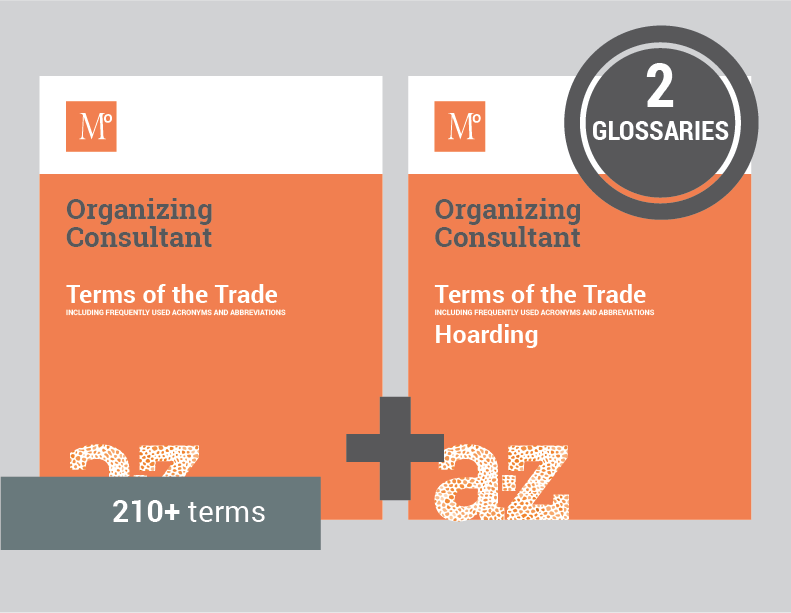 Dictionary or glossary, whatever you call it, here are the definitions, abbreviations, and acronyms a professional organizer uses to communicate clearly on hoarding and organizing topics. Baffled by acronyms + terms of the trade used by seasoned professional organizers? End confusion. Communicate clearly. Learn the jargon. 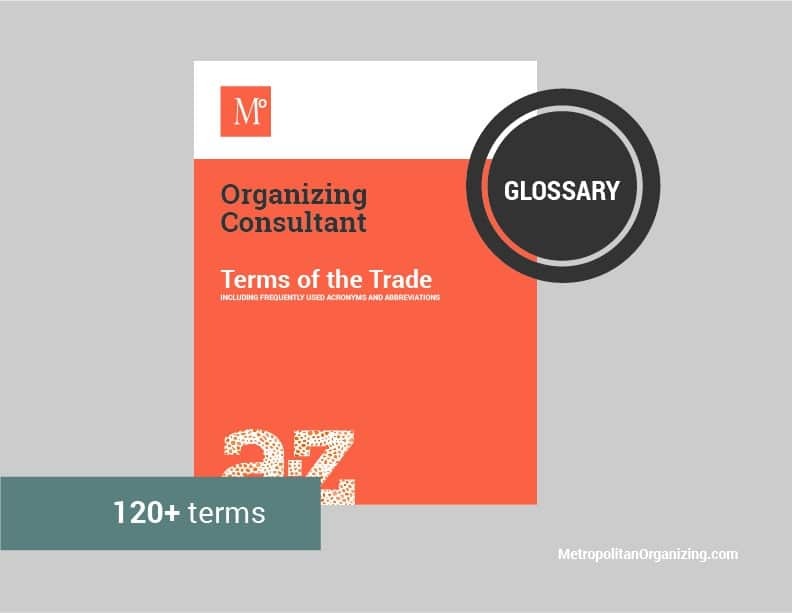 Terms of the Trade or “TOT” products are glossaries for organizing consultants. Available in standard + hoarding editions. Communicate with confidence—understand the meaning of the basic words and industry jargon used by professional organizers. Professional organizers working on hoarding projects will benefit from understanding healthcare terms related to hoarding and extreme clutter. TOT Hoarding Edition is a glossary defining 90+ commonly used words related to hoarding. Communicate with confidence—sound credible and professional on hoarding-related projects.